Geoffrey Nunberg (BA, Columbia; MA, Penn; PhD, CUNY) is an adjunct full professor at the School of Information at the University of California at Berkeley. Until 2001, he was a principal scientist at the Xerox Palo Alto Research Center, working on the development of linguistic technologies. He has also taught at UCLA, the University of Rome, and the University of Naples. Nunberg has written scholarly books and articles on a range of topics, including semantics and pragmatics, information access, written language structure, multilingualism and language policy, and the cultural implications of digital technologies. Nunberg is the emeritus chair of the usage panel of the American Heritage Dictionary and has written on language and other topics for The Atlantic, The American Prospect, Forbes ASAP, American Lawyer, and Fortune, and for the Los Angeles Times, the Washington Post, the San Jose Mercury News, the San Francisco Chronicle, Newsday and the Week in Review section of the Sunday New York Times. He also does a regular language commentary on the NPR program “Fresh Air” and has contributed “letters from America” to the BBC4. He has been the subject of features and interviews in Fortune, the Harvard Business Review, the San Francisco Chronicle, the Boston Globe, Fast Company, and Stanford Magazine. He is a contributor to the blog LanguageLog. Nunberg’s books about language include The Way We Talk Now (2001), and the 2004 collection Going Nucular (PublicAffairs), which was named one of the ten best nonfiction books of 2004 by Amazon.com and one of the ten best books of the year by the San Jose Mercury News, and was listed among the year’s best language books by the Boston Globe, the Hartford Courant, and the Chicago Tribune. His 2006 book Talking Right: How Conservatives Turned Liberalism into a Tax-Raising, Latte-Drinking, Sushi-Eating, Volvo-Driving, New York Times-Reading, Body-Piercing, Hollywood-Loving, Left-Wing Freak Show (PublicAffairs, 2006) was named one of the ten best books of the year by the Washington Monthly. 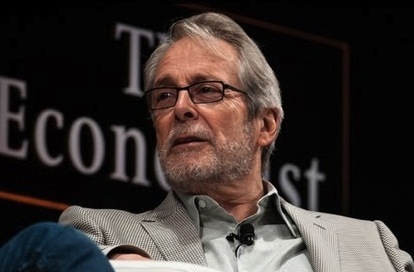 His 2009 book The Years of Talking Dangerously (PublicAffairs 2009) was selected as a notable book of the year by the San Francisco Chronicle. For his general writing about language, Nunberg was awarded the Linguistic Society of America’s Language and the Public Interest Award in 2001. Nunberg’s most recent book, Ascent of the A-Word: Assholism, the First Sixty Years, was released in August, 2012 by PublicAffairs. Nunberg has been a expert witness in a number of legal cases involving trademarks and other linguistic matters. He was the expert for the group of American Indians who petitioned the Trademark Commission to cancel the mark of the Washington Redskins. He also served as the expert in the American Library Association’s legal challenge of the Children’s Internet Protection Act, which mandates the use of Internet filtering software in all libraries that receive the e-rate subsidy. Nunberg’s publications in linguistics and computational linguistics include The Linguistics of Punctuation (CSLI-Chicago, 1990); “Indexicality and Deixis” (Linguistics & Philosophy, 1993); “Idioms” (with Ivan Sag and Thomas Wasow, Language, 1994); “Transfers of Meaning” (Journal of Semantics, 1995); “Automatic Classification of Genre” (with Hinrich Schütze and Brett Kessler, ACL, 1997);”The Pragmatics of Deferred Reference” (in L. Horn and G. Ward, eds., The Handbook of Pragmatics, Blalckwell, 2003); “Punctuation and Text-Category Indicators” (with Edward Briscoe and Rodney Huddleston, chapter of R. Huddleston and G. K. Pullum, eds.The Cambridge Grammar of English, Cambridge, 2002); and “Indexical Descriptions and Descriptive Indexicals” (in M. Reimer and A. Bezuidenhout, eds. Descriptions and Beyond, Oxford, 2004). Nunberg’s publications on language policy and other language topics include “L’Amérique par la Langue” (Cahiers de Médiologie, 1997); “Lingo Jingo” (The American Prospect, July, 1997); and “The Persistence of English” (introduction to the sixth edition of the Norton Anthology of English Literature). Nunberg’s publications on technology include “The Places of Books in the Age of Electronic Reproduction” (Representations, 1993), “Will Libraries Survive?” (The American Prospect, November, 1998); “Les enjeux linguistiques d’Internet” (Critique Internationale, 1999), “Will the Internet Speak English?” (The American Prospect, 2000), “The Internet Filter Farce” (The American Prospect, January 1-15, 2001) and the edited collection The Future of the Book (University of California Press, 1996).